First Interview with Former South Sudan Presidential Adviser and Current ambassador to Russia, Telar Ring Takpiny Deng by Dinka Executive Producer Ajak Deng Chiengkou. 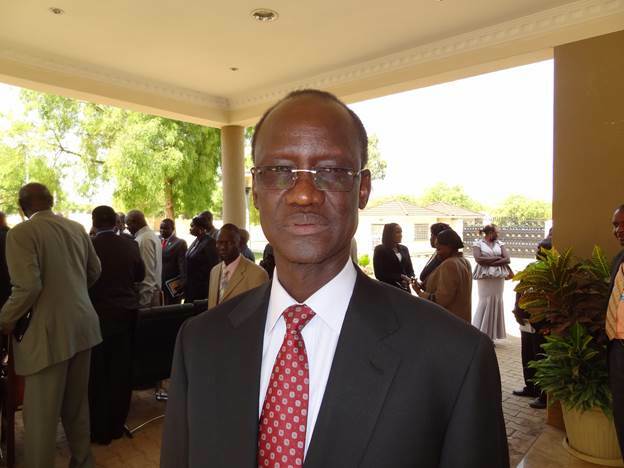 South Sudanese former presidential adviser and now appointed ambassador to Russia Telar Ring Takpiny Deng. Telar discussed more about his role in current leadership and his previous service as a liberator. He also detailed his willingness to serve people of South Sudan in any role regardless of it ranking. Who is Dr. Riek Machar? On February 18th, IPI hosted a policy forum that focused on the recent crisis in South Sudan and the ongoing initiatives to bring security and sustainable peace back to the new country. The event was chaired by IPI Senior Adviser, John L. Hirsch. My name is Shane Romero, and I am a nationally touring spoken word poet from Brooklyn, NY. With spoken word being the foundation of hip hop I was hoping to find my way onto your blog for a feature. My work has been featured on Russell Simmons ALL DEF DIGITAL youtube and Argyleculture clothing website. My video “Prayer For Her” is about a Sudanese girl and her journey to New York City and was done over J. Coles “Losing My Balance” instrumental. I appreciate your time and will leave link to my work at the bottom. Thousands have died and hundreds of thousands have been displaced as a result of the political crisis in South Sudan. Armed conflict continues as peace talks between government and opposition begin in Addis Ababa. Leading South Sudanese civil society institutions came together in Nairobi to sponsor discussion of the current situation, its historical origins and the prospects for a peaceful resolution. The meeting was organised by the Rift Valley Institute’s Nairobi Forum (http://www.riftvalley.net) and supported by the Open Society Initiative for Eastern Africa. Listen to Maj. Gen. Marial Chanuong Yol, the Division Commander of President Kiir’s elite Republican Guards of Tiger Battalion where fighting first broke out among the guards on December 15th, 2013.